On July 6th, 2012, Talener Employees from all 4 office (NY, BOS, LA, and SF) came together at New York’s Chelsea Piers to sail on the America 2.0 for our Annual Boat Party. Check out the pictures from that beautiful day. Rory Bebbington has been with Talener Los Angeles since its earliest days, when he and one other person were in temporary office space trying to build our presence in that market from scratch. Rory was drawn to Talener because of the vision that Mike Dsupin, CEO, had of what a staffing agency could to be. A business that operates the right way and doesn’t need to take short cuts to do the right thing – he wanted to be a part of something like that. Rory’s journey has taken him from England (where he was born and raised), to Australia and finally to Los Angeles and to Talener. Rory’s experience started early on when he sold windows door to door as a teenager (he says it was miserable) and evolved over the years through a successful career as a DJ and into recruiting. He brings all of this experience to Talener in his job as the Director of our Los Angeles office where he loves the people that he works with and the flexibility to choose who he wants to work with. Rory has a passion for working with people that are driven by honesty, integrity and have passion for doing things the right way. He trains and develops his staff with the same attitude which makes for a great office/company culture. 1. In addition to all of his many accomplishments, Rory is a very charming guy and I’m sure only about 10% of it is due to the English accent and 10% is due to the bawdy sense of humor. Rory is so charming that he once had a candidate ask him for his autograph! 2. In our first official office space in Los Angeles Rory used to literally run to the office in the morning and run home at night. If your company is located in or you are looking for a job in Los Angeles, please feel free to give Rory and his team a call (424)208-5400, and they can help you with all of your technology staffing needs! My favorite segment of the festival was hearing Walter Isaacson talk about his book and the man, Steve Jobs. Steve Jobs was a designer and viewed himself as an artist and that is exactly what he was. He designed Apple’s concepts all the way from the computer to the boxes they came in. Thanks to Steve Jobs calligraphy class at Reed College and his post drop out globetrotting trip where he converted to Zen Buddhism, along with his passion for design and art, he had all the ingredients to turn Apple into the most successful retailor in the world. Apple is indeed the most successful retail store followed by Tiffany & Co – even so, Apple is 50% more successful than Tiffany & Co. Although notorious for being harsh on the people who worked for him, many told Isaacson they would walk through a wall to work for him again. What made Steve Jobs and Apple so different from any other computer company is simple. Dell, HP, IMB etc… built the computer design around what the engineers claimed they could and could not do. Whereas Jobs designed the computer and told the engineers to make the computer that would fit in this prototype. And then Jobs had the engineers sign the inside of the computer they worked on because every piece of art should be signed by the artist. Jobs and Gates had a long rivalry until the day Jobs passed away. Jobs thought everything he made was insanely great and everything else, especially Gates work, sucked. They differed in their business model. Jobs implemented the end to end model. He built the hardware, the software, and the applications that were all dependent for an Apple to run, whereas Gates licensed out the operating system to the other distributors. On Jobs death bed Gates came to his side and they both exchanged praise for one other’s successful works to try and make amends. After this meeting, Jobs told Isaacson that Gates was a synonym for a donkey. When Gateway was going out of business Jobs announced to the board that he wanted to open up a retail store. The board replied something along the lines of you “Are you kidding? Look at Gateway!” in which he said back “Gateway opens stores in cheap locations. We will build and open stores in the most expensive locations. Like 5th Avenue in NYC!” As you can imagine, the board was even more confused! Jobs built a mock store in the warehouse of the company’s Cupertino headquarters. Isaacson claimed that getting into the Situation Room at the Whitehouse is easy compared to this design room at Apple. Everything from the staircase to the floor is patented to Jobs. Jobs put a huge emphasis on the computer, iPod, and iPad box. They had to be exactly 90 degrees. The reason behind the design of the box is so that opening the box is emotional and truly beautiful. Isaacson said that when Jobs passed away even the Occupy Wall Street members were waving their iPhones in honor of Jobs, a billionaire. The reason is, is because they experienced the emotion that Jobs created. When Jobs created the iPod, he did praise himself on disrupting the industry and changing the way people will listen to music. He worried about the competitor who would be inspired to create something better. He then realized the threat was putting music on mobile phones. He had to cannibalize the iPod by creating the iPhone, otherwise someone else would have had them for lunch. If you read the book you will notice that Jobs did not spend a lot of time with philanthropic work. He told Isaacson that he was taking things out of the flow of history so he had to focus all of his time on putting things back in the flow of history. He also believed that creating a way to access textbooks digitally will help schools across the world and make it easier to access them – his own way of giving back. 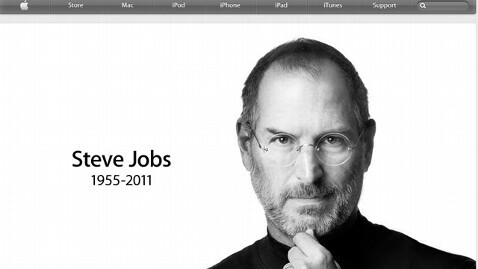 Isaacson said that Jobs inspired others to do great work. He was not the one who engineered the computers but he was responsible for bringing it all together and executing it in a seamless manner to create an emotional and beautiful product for the consumer. May this man inspire all of us to continue to change the industry through emotion and beauty. A wonderful lineup of movers and shakers in the technology industry sat one by one to discuss the next internet: Dave Morin Co-Founder and CEO at Path, Eric Feng Founder and CEO at Erly, Marissa Mayer VP, Local Maps & Location Services at Google, and Tim O’Reilly Partner at Alpha Tech Ventures. 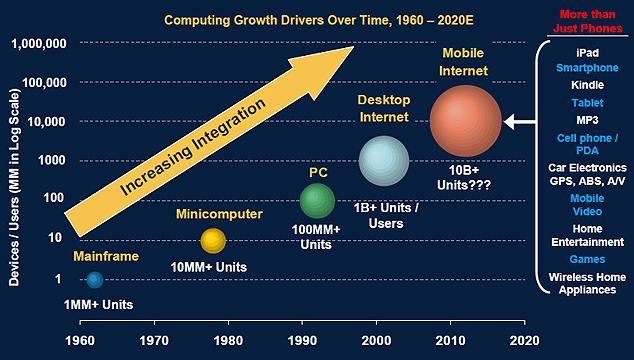 The next wave of technology to transform the internet is without doubt the mobile web. It is no mere coincidence that the shift from a large screen to the compact mobile browser and apps coincides with the fifth anniversary of the iPhone? Just a couple of years ago the internet was centered around Facebook. And now there is a huge paradigm shift towards the mobile web. As a society we are creating a new sense of community through our mobile devices. What makes the mobile phone so fascinating is the fact that it hailed a true sensory revolution. The phone, in essence, has senses – it knows where you are, can listen to your commands, and can even respond to touch. Marissa Mayer said that in June 2011 there was more traffic on the mobile version of Google Maps than the desktop version. Recently, she said the next big improvement to Google maps will be located based reminders. For example, you say, next time I’m by a Walgreens I need to get floss and your phone will remind you once you pass a Walgreens. This really ties in the digital and physical world on your phone. She went on to say that 70% of a household’s disposable income is spent within 5 miles of the home. She also said that 11% of all commerce is on the phone and assumes there will be apps to support the local businesses with a loyalty plan. The key is having direct relationships to the customer i.e. Facebook mobile, something that is more crucial than the actual brand. On another note, the panelists discussed a recent study which showed that with camera phones 5 year olds will learn how to read differently than any other previous generation. The child will take photos of words they have not seen before, come home to show their parents, and will learn that word at a much earlier age. The panelists changed gears and talked about a trend that is most noticeable among popular companies that have disrupted the tech industry. A majority of founders these days are designers. Perhaps this is a Steve Jobs legacy. Notable examples include Pinterest, Airbnb, and Path. Dave Morin, CEO of Path said design thinking is what it is all about. Dave Morin also said he was an angel investor in a new hot app that can be found at DIY.org. The founder wants this to be the first URL for boys to use in their lives. This app will allow a boy to upload a photo of something he made and will get points for how many boys that make the same thing, for example a marshmallow gun or a knot. Check it out, it’s a very innovative idea. The panelists concluded that Amazon considers itself a customer service company and a data company. They have a decade advantage on analytics but at the end of the day word of mouth is the most effective way to bring in consumers, and social media is the best form of word of mouth! In conclusion, the heart of every app is big data. Every industry is being transformed by data.